Like all archaeologists, Dr Alice Watterson spends her days with one foot in the past but when she was asked to join an excavation in the Alaskan tundra it was the start of a journey into a lost world of war, peace and dance. As well as being an archaeologist, Alice is a reconstruction artist based at Duncan of Jordanstone College of Art & Design. 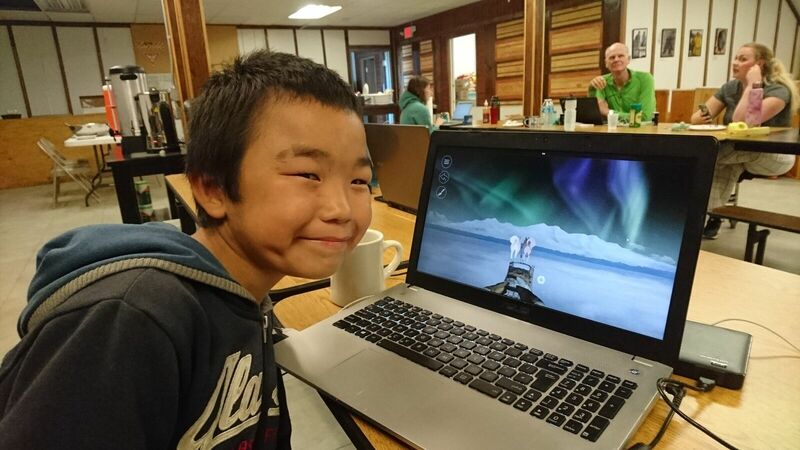 For the past two years she has been working with the Nunalleq Archaeology Project near the Alaska Native village of Quinhagak to develop a digital educational resource to help teach local children about the site that she and her colleagues have been excavating. It is a project that has drawn Alice into the pre-contact story of Yup’ik Eskimo people and challenged her perceptions of how and why we tell stories about the past. 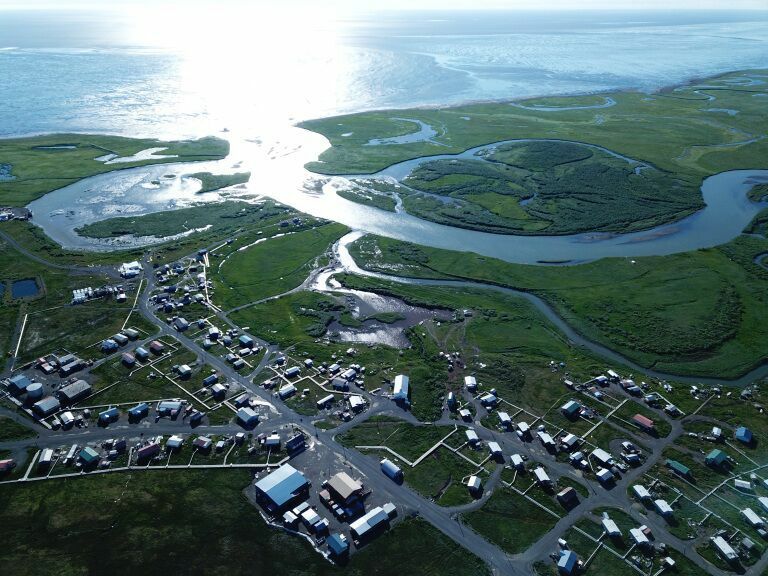 Nunalleq lies on the southwest coast of Alaska, which was home to Yup’ik people for many centuries before Russian explorers arrived in the 1700s. The archaeologists, led by Dr Rick Knecht and Dr Charlotta Hillerdal from the University of Aberdeen, were tasked with excavating what had previously been a large sod house from what locals refer to as Nunalleq – ‘The Old Village’ dating back to at least the 15th century. They uncovered an unparalleled collection of more than 60,000 artefacts related to everyday life for Yup’ik people – life that was unalterably changed when a rival village launched a murderous attack almost 350 years ago. Traces of fire can be found throughout the house, used to smoke out 50 or so residents who used it as their base when not out hunting, fishing, and gathering plants. Skeletons of women, children, and elders were found together outside the house, suggesting that they were captured and killed. 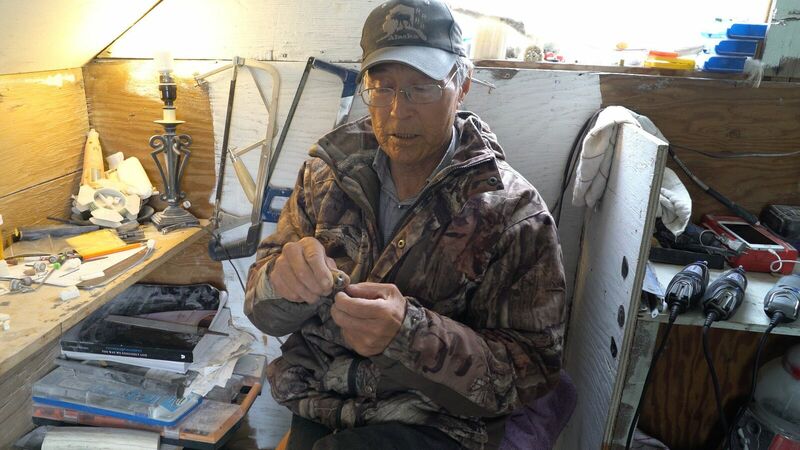 The findings validate oral histories passed down through subsequent generations since the Bow and Arrow Wars, when Yup’ik communities engaged in bloody conflict over diminishing resources probably caused by the Little Ice Age. The coldest years came in the 1600s, when the evidence uncovered by the archaeologists dates the attack at Nunalleq to. Alice says the artefacts found at the site reveal the shifting psyche of the Yup’ik brought about by scarcity. The Nunalleq dig had been underway for seven years when Alice was drafted in to lend her expertise to the next phase of the project in late 2016. With specialisms in illustration, survey and visualisation, she was brought in to bring the sod house back to life by producing a digital model of how it may have looked centuries ago. Part of her remit was to develop an education pack for the village school that can also be used for outreach activities via the internet. Working closely with the local community at every stage and immersing herself in Yup’ik culture as she did so, Alice has produced a reconstruction of the house and the surrounding landscape that children can explore. While moving around the interface, users can click on selected objects to bring up a 3D scan of artefacts found at the site and hear from the voices of village elders, archaeologists and craftspeople to find out more about the role they played in the life of their ancestors. The artefacts recovered include eating utensils, hunting equipment, wooden dance masks, ivory tattoo needles, woven grass and fragments of clothing. Being frozen in the ground has helped preserve an extraordinary number and variety of objects, which reveal much about both the way that the Yup’ik people lived from the 15th to 18th century and also how their beliefs have prevailed through the subsequent centuries of change. “To this day people in Quinhagak live a subsistence lifestyle, which means people are intimately connected to landscape,” continued Alice. “They have deep respect for the environment and the animals they hunt, just as the ancestors did, and we see this in the archaeological record. 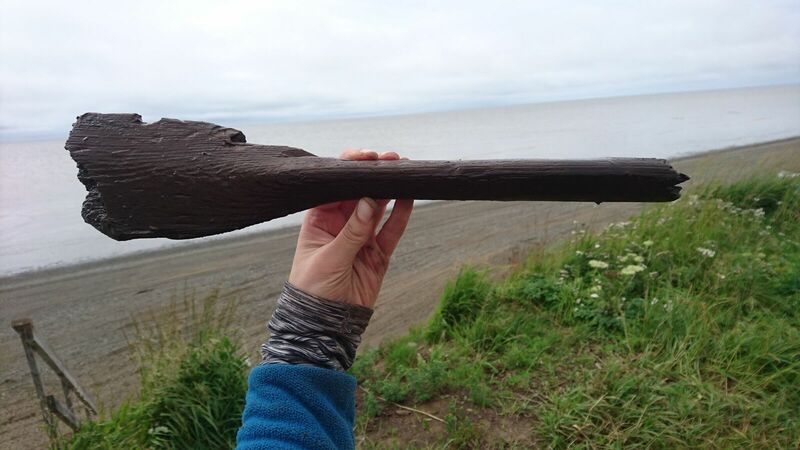 The day-to-day tools recovered often feature absolutely beautiful carvings of animals which reflect what the ancient Yup’ik were gathering from the sea and surrounding rivers. They believed that if they did this these animals would present themselves when they went hunting. 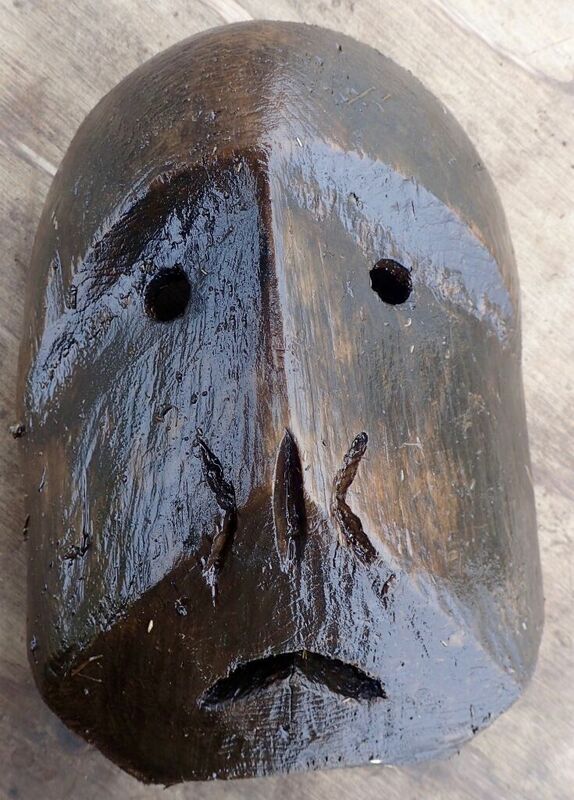 “I know I’m not alone in saying that I find the wooden face masks to be among the most compelling artefacts. These were used as part of traditional Yup’ik dancing or yuraq. The masks, movements of a dance and the words of a song all tied in together to respond to a particular mythology or story. These masks would often only be used for one dance and then abandoned to the tundra or broken or burned. Many would have been brightly painted but today we only find traces of red, white and black paint on what remains. One feature we’ve developed here at the 3DVisLab in Dundee with programmer John Anderson is an interface within the educational resource which allows children to form their own interpretations by painting on 3D scanned models of some of the Nunalleq masks using the same colours their ancestors would have. It is fantastic to see the children who have played with early versions of the educational resource form new contemporary engagements with the artefacts. Just as the Little Ice Age posed an existential threat to the Yup’ik people, climate change is once again wreaking havoc on the inhabitants of the tundra. 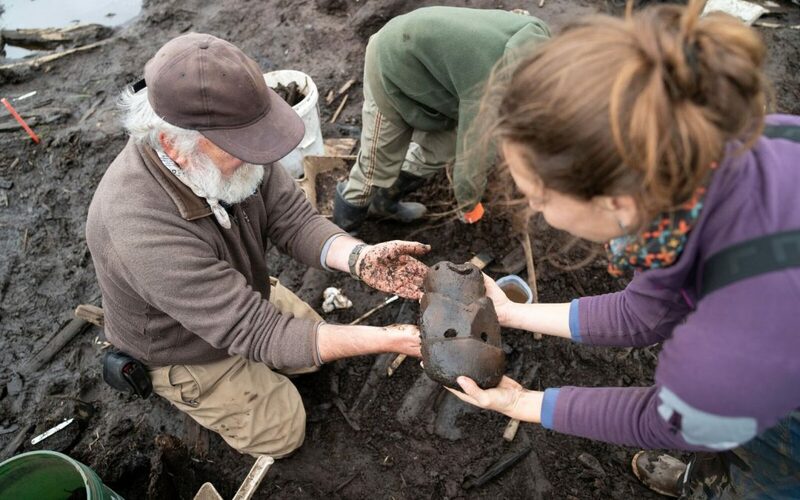 The genesis for the excavation came when villagers began finding artefacts from the site on the nearby beach. 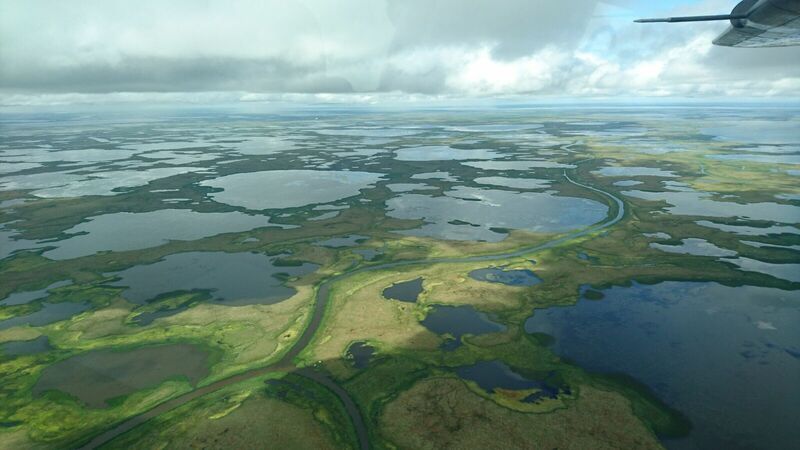 Increasingly extreme weather has seen the Bering Sea claim more and more coastal land. In coastal Alaska, average temperatures have risen by around 1.7C in the past half century, leading to thawing permafrost, while the global level of oceans has risen about eight inches since 1900. As violent storms speeded up the process of erosion exponentially, the site of The Old Village was in danger of falling into the sea. The community in Quinhagak knew something important lay underground and that they faced a race against time to uncover and preserve the stories held beneath the surface. Quinhagak has a population of around 750. There, like elsewhere in the world, the older residents worry that the younger generation are forgetting their heritage. For that reason, Alice was especially delighted that one aspect of her work witnessed the young Yup’ik championing a cultural revival of traditional practices that were a distant memory to even their grandparents. Drum handles and rims were among the objects found at Nunalleq along with the vast array of masks relating to ceremonial dances, demonstrating how important dancing was to pre-contact Yup’ik culture. But until 2013, when the Quinhagak dance group was formed, dancing hadn’t happened in Quinhagak for around a century after the practice was discouraged by missionaries spreading the word of the Moravian Church in Alaska. Today the village has reached a point where both traditional practices and the church co-exist and the young people decided the time was right to rediscover song and dance. “The way that the teenagers in Quinhagak responded to the artefacts was to write their own traditional dance song” explained Alice, who filmed a performance of the dance as part of her work in Alaska. “After the idea was sparked they took their own initiative, organising meets to work on the song nearly every evening for two weeks. The song responds to artefacts they were looking at and lines in it see them praise their ancestors for being so skilled and asking them questions like how they lived, how they hunted and how they told stories.